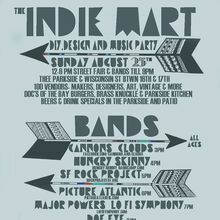 Come on out on Sunday August 25th for our now annual big street fair with all the locally made wares, designs, DIY, art, food and music you can get. We're kicking off our 7th year and proud to host over 100 local CA makers, vintage, artists and bands. 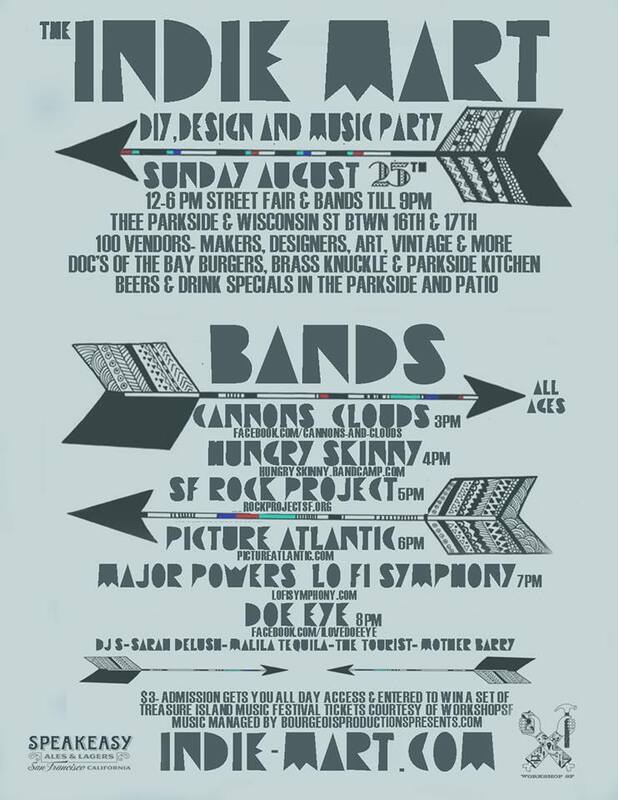 Music, food, beer & drinks specials in the Parkside (bands too)! $3- wristband at the door gets ya all the shopping, music & fun, as well as a chance to win a set of Treasure Island Music Festival tickets!